February 22 marks the anniversary of the signing of the Ceasefire Agreement in 2002 between the government and LTTE with Norwegian facilitation. This was an unexpected development that brought hope to the country that the war would come to an end and a peaceful solution to the ethnic conflict would be possible. Faced with the prospect of economic collapse, and a protracted war, the government of that time headed by Prime Minister Ranil Wickremesinghe sought to break the stalemate with a bold initiative. The sudden cessation of armed conflict came as a relief to the general population and almost immediately the wounds of war began to heal with people traveling for business and tourism from the north to the south and to the east. The benefits to the people of the peace process made it seem that it had become irreversible. But what was not seen so well at that time was that the ceasefire was only the start of the process, not its end. There needed to be a sustainable political solution that addressed the roots of the conflict. The ceasefire agreement brought the country respite for four years from a war that had sapped its strength, and led the economy to shrink rather than to expand. If it had succeeded it would have saved tens of thousands of lives and obtained enormous economic resources for the country with the active support of the international community. After the ceasefire broke down in early 2006 the Ceasefire Agreement became seen as a political liability to the government that had signed it. The fact that neither the opposition nor the LTTE assisted the government to come up with a political solution was lost sight of. The ceasefire agreement became a subject of vilification for giving in to the international community and to the LTTE. The only ones who explained what it meant to the country were those who opposed it tooth and nail, and they gave it a one-sided interpretation. The ceasefire agreement of 2002 continues to be criticized for this even to this day by the nationalists and opposition politicians. The importance of marking the ceasefire is that Sri Lanka once again has a historic opportunity to transcend its past. This has come in the form of the National Unity Government formed last year that has united the two traditional rival political parties, the SLFP and UNP, and also drawn in the major ethnic based parties and also the JVP. But the opportunity could prove to be a fleeting one unless every effort is made to use it to address the political roots of the conflict. The peace and reconciliation process that is in place today cannot be taken for granted. The period of ceasefire did not last, due to the many violations that took place, the bad faith that was demonstrated, and the country plunged back into war. The failure of the government and LTTE to reach a political settlement that addressed the roots of the conflict meant that there was no political and legal infrastructure to hold the ceasefire in place. It is important therefore that the present efforts to achieve constitutional reforms, should also address the roots of the ethnic conflict and be successful if the past is not to repeat itself. Once again it is Prime Minister Ranil Wickremesinghe as the head of the government who is seeking to make a difference as he tried before with the ceasefire agreement. On Thursday, he will be presenting to Parliament the resolution that seeks to make parliament into a constitutional assembly to deliberate and come up with the content for constitutional change. Where constitutional reform is concerned, the areas of focus are the executive presidency, the electoral system and the sharing of power across provincial lines. There are reports that the government will be under pressure to remain within the ambit of the present 13th Amendment which limits the devolution of power to the provinces. The political solution to the ethnic conflict will come from a solution where the ethnic and religious minorities are not subject to the goodwill of the ethnic majority, but enter into an unbreakable partnership in which joint decision making is necessary. If the roots of the ethnic conflict are to be resolved there is a need to go beyond what has not been a solution in the past. The ongoing negotiation process in Myanmar between the government and the more than 20 ethnic rebel organizations and their armies is instructive and can offer some indications of the direction that Sri Lanka too might wish to tread. The government of former President Mahinda Rajapaksa had close relations with the Myanmar government headed by the army generals. Sri Lanka also has historical ties with Myanmar. A common feature in both countries is the fear of disintegration and separation. Interestingly, even before the democratic opposition led by Aung San Suu Kyi won the national elections on November 8, the army generals of Myanmar in October 2015 arrived at a nationwide ceasefire agreement with many of the rebel groups which continues to hold. In Myanmar, the ethnic rebels have sought independence, while the government has resisted federalism. However, the ceasefire agreement is based on a renunciation of independence by the ethnic rebels who have signed the agreement, while the government has agreed to work out a political solution based on federalism. There are lessons from both the Sri Lankan and Myanmar ceasefires that need to be utilized to improve the prospects for success of the government’s reform efforts. The government is taking a bold initiative in marshalling the country’s intelligentsia towards constitutional reforms, but taking into considerations past experience. This time around it is doing much to ensure people’s participation in the reform process. This was not the case during the period of the ceasefire. At that time, the decisions were taken by the government, but without clarifying the situation to the people. This proved to be a major shortcoming, as the government depended upon public support for its continued existence. The people who were left out of the process were not willing to give the government the political backing it needed when elections were called for in 2004. But this time around, that cycle need not be repeated. On this occasion, the constitutional reform and reconciliation processes involve significant public participation. The government has appointed a 20 member Public Representation Committee to obtain the feedback of the general population regarding the constitutional reform process. They have been having public consultations in different parts of the country and generated local level discussions. They have received hundreds of proposals and met with thousands of people. Similarly with regard to the reconciliation process, the government has again deployed civil society leaders and activists appointed a 11 member Steering Committee that is tasked with engaging in public consultations and providing feedback to the government. The public consultations are based on the broad parameters that the government has set in both areas. Where reconciliation is involved the areas of focus are truth seeking, legal accountability, missing persons and reparations. Among the large number of submissions made by civil society groups to the Public Representations Committee on constitutional reforms many have been from the former war zones of the North and East. One such submitted by the Centre for Women and Development, Jaffna, states that with regard to the formation of government “There should be two houses in the parliament, upper house and lower house. Representatives of the upper house should be elected by the people. 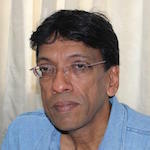 Members from various professional backgrounds be appointed to the lower house and one third of the members should be from minority races of the country.” It adds that with respect to power sharing, the “Proposed draft for constitutional amendment should deviate from unitary state concept and provide more devolution of power to Tamil, Muslims and plantation Tamils. The proposed constitution should absorb more federal aspects than unitary status. The words unitary and federal should be omitted.” These are people’s views that need to be taken aboard the constitutional reform process.